Hi all. I am back but been feeling tired for the last three days. Not enough sleep and lots of work to catch up with. Have not been touching my stones and beads for a couple of days and I am missing them already. But weekend is very near. 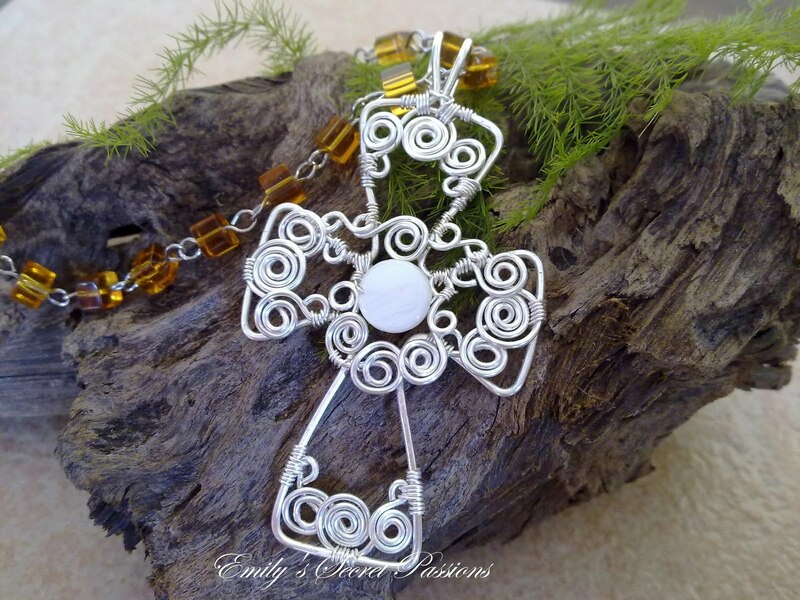 This time around she made the Swirly Wire Wrapped Cross Pendant based on this Wire Wrapped Cross Pendant Tutorial. 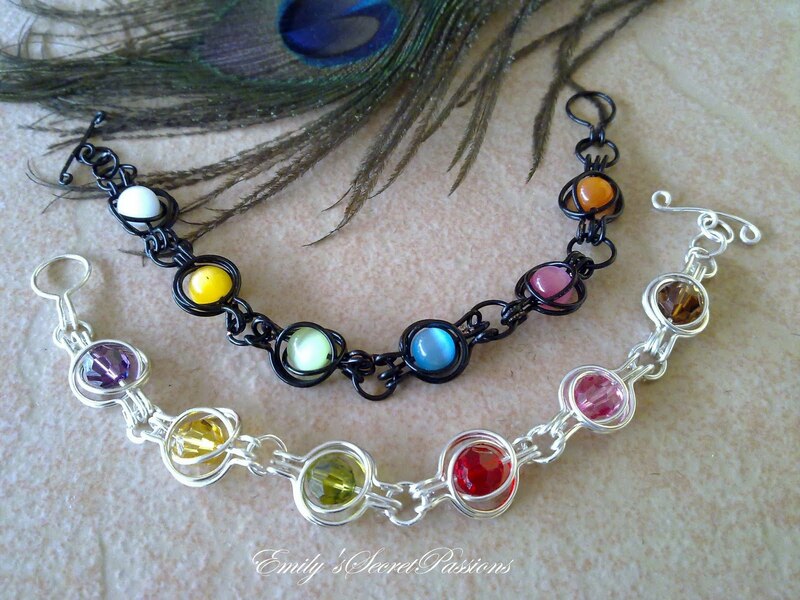 and the TAW Bracelet based on the TAW Bracelet Tutorial. Like many of us, Emily is self-taught and she is very very talented. Just look at her pretties on her blog here - Emily's Secret Passion. Thank you for sharing Emily and I am very proud of you. Labels: Bracelets | Cuff , Necklaces | Pendants , Wire Jewelry , z Jewelry Friends n Artists Share it! Hi look at my blog I have a gift for you!